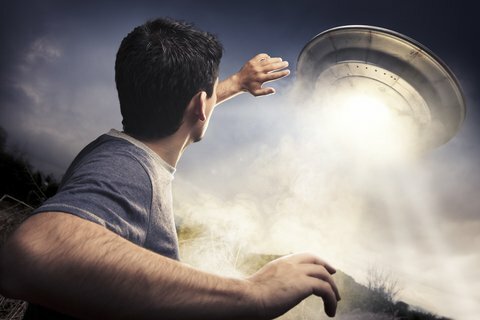 UFO Sighting in San Jose, California on 2019-04-15 18:05:00 - I went out my parents in law house to pick up a sweater from my car , i raised my head i saw first the moon not full , to the right below it ... - UFOMG! I saw a bright starlike light flying straight line from nw thru se , it takes me like one second to speak to my wife hey come out come out quickly so i realize that they were there my son and parents in law ...So i shouted everybody out , when all of them were out look look the light ... i asked for a mobile but no time the light was covered by the trees ...Shiny bright no blinking golden yellowish light constant speed and path ! Previous article UFO Sighting in Republic, Missouri on 2019-04-17 07:04:00 – Small, white bright light that went a steady pace up into the clouds. Next article UFO Sighting in Trabuco Canyon, California on 2019-04-17 05:30:00 – White star like ufo that brightens and dims and flashes sides of mountains.